My mix is a 35% pea protein concentrate, 60% sacha inchi protein, the remainder is dextrose and chocolate coconut flavoring. I haven’t tried sacha inchi before, but I’ve been meaning to. It’s not as widely available as other proteins, though, and I’ve had a hard time finding any reviews on it. Now to the important part: texture and taste. As for taste, the coconut chocolate, at least, is delicious. One problem with True Nutrition is that they use stevia with a lot of their flavors, and I really hate the taste of stevia, but they always disclose what sweeteners they’re using, so it’s not really a big deal. I am going to try other flavors in future orders, but it’s good to know that the first flavor I tried was fantastic. 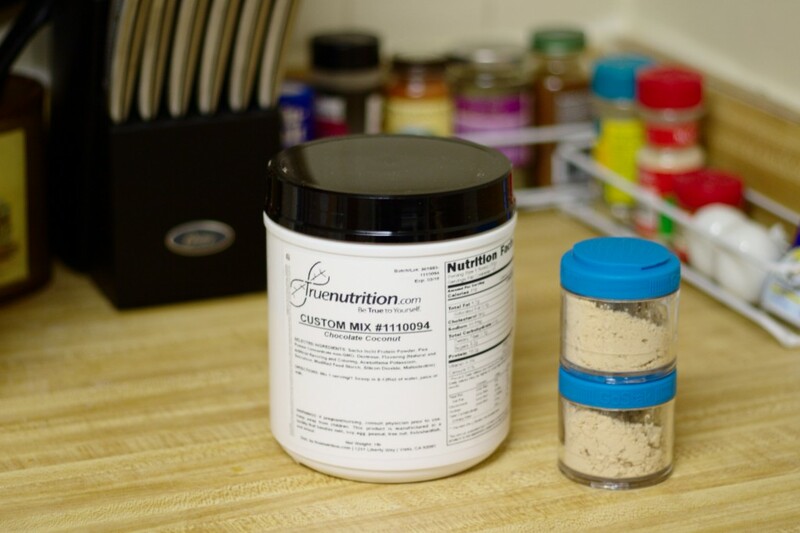 All in all, I’m really happy with this protein powder. Having this much control over the composition of it was great, and I don’t see how I could go back to non-custom proteins now.